So many wonderful people come visit SageCliffe and tell us they plan to return, and would like to share SageCliffe with their friends and family, too. But we’re all feeling the squeeze these days and sometimes we just need that little bit of help to make trips like these possible. 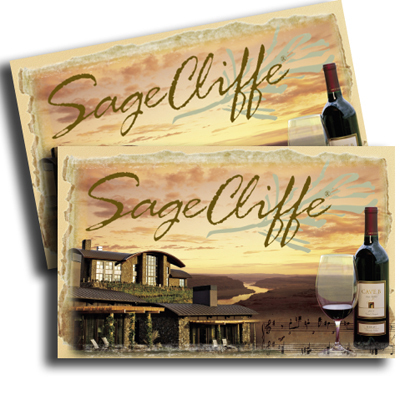 Enter the SageCliffe Gift Card. We have our Gift Cards available in our Cave B Webstore in a wide range of denominations; several have bonus gifts attached with purchase, or a great holiday-period discount. This is truly the best time of year to purchase a SageCliffe Gift Card for someone you care about. We also have cards available for corporate clients. To read more about the cards, their special offers and to purchase, please visit our Cave B webstore. Enjoy! 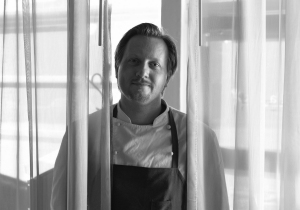 The weekend begins on Friday evening, with a special tasting menu prepared by Chef Ritchie and paired with Winemaker Freddy Arredondo’s Cave B wines. 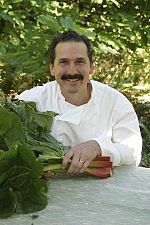 In the tradition of his background at the famous Herb Farm restaurant, Chef Ritchie will guide students course by course through this culinary adventure. On Saturday, the students get down to business, working side-by-side with the Chefs to sharpen their culinary skills in a series of hands-on workshops. Between culinary sessions, Winemaker Freddy Arredondo will lead students through a wine tasting and pairing training. Armed with their new skills, students will be tasked with crafting a signature wine blend utilizing a selection of the many varietals available in the Cave B cellar.After an intensive day of food & wine training, students will sit down to dinner to enjoy the results of their efforts, which will be critiqued by their Chef instructors. The competition is a friendly one, but expect the kitchen to heat up as teams compete to see who has what it takes to cook with the pros! To wrap up the weekend, students and chefs will sit down together for a family-style farewell brunch on Sunday morning. Weekends include 3 days, 2 nights’ accommodations at Cave B Inn and all meals. To get the rest of the details, see pics of the Chefs (we know we always like to see who we’re cooking with) and learn about pricing, please visit our website. These will truly be weekends that create great, adventurous lasting memories. You’ll have story after story to tell for years to come….and you will likely be able to do so over a recreation of the meal you create at SageCliffe! We hope you join Freddy Arredondo, Chef Ritchie and all the celebrity Chefs for these very special weekends. See you soon!